For my card this week, I grabbed a retired Stamp of the Month (I can’t even remember which month it is from…I think April or May 2014). On White Daisy Cardstock, I used White Embossing Powder on the flower image and then watercolored the image using a waterbrush and multiple ink colors including: Thistle, Pixie, Hollyhock, Pear, Indian Corn Blue, Canary, and Glacier. Watercoloring using dye ink is a technique that I had forgotten about until I recently joined the Technique Toolbox: Creative Uses for Dye Ink Online Card Class. I’m loving the inspiration I am finding there! I trimmed the white daisy cardstock while it was still wet (I got a little impatient!!) and the cardstock tore slightly but I thought it added charm to the card. I then used a small hole punch to create a divot in the cardstock and tied retired White Daisy Sassy Strands around the card. 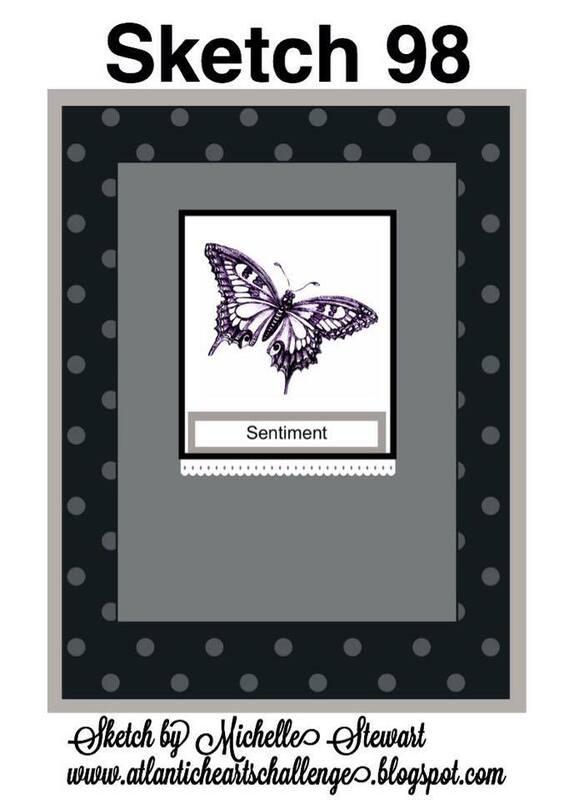 The sentiment is from the retired stamp set, Card Chatter-Sympathy in Indian Corn Blue Exclusive Ink™. After I had all of the elements on this card I matted the Glacier Cardstock onto a scrap piece of gray/blue cardstock that I had in my stash. I then added these layers onto a White Daisy Cardstock card base using Thin 3D Foam Tape and added a few (retired) Licorice Opaques for the final embellishments. This week I wanted to give myself a challenge for the card I created for the Atlantic Hearts Sketch Challenge #98. I wanted to use product entirely from my stash. No new stamp sets, embellishments, etc. 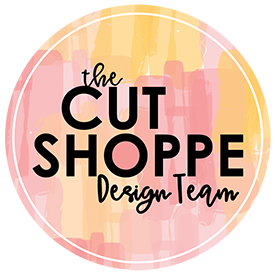 Being a CTMH consultant I have my fingers on new product constantly…which is AWESOME….but once a product retires I tend to throw it to the back of my stash and focus on entirely new. So this week I dove into my stash to use it up!! I’m curious to know if I’m the only one who has this tendency. Do you continually use from your stash or do you tend to grab new product?!? 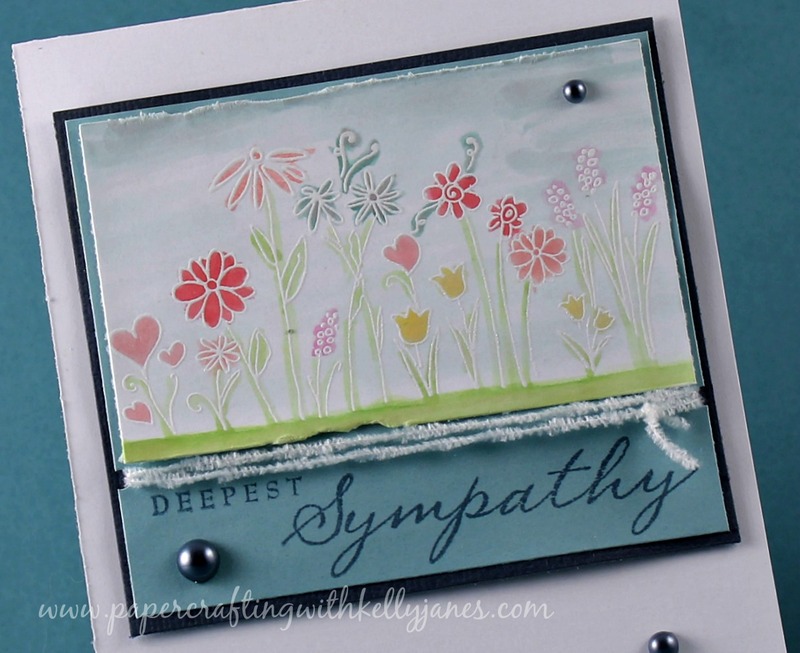 Making sympathy cards is so difficult for me but you have made a gorgeous one here. Love the soft colours and the stamp was perfect.